Accessible and story filled, this book provides strategies to capture the excitement of genuine inquiry in your classroom. Students tend to dread research projects—with their limited choice of topics, required formats, and minimal opportunity for original thought. Who can blame them? 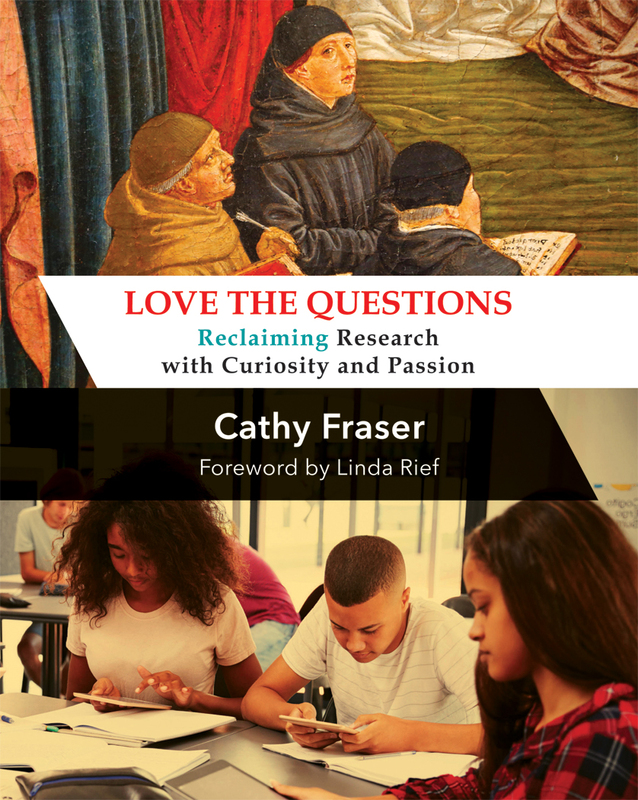 Cathy Fraser believes that school research projects should be less like busywork and more like police investigations. In Love the Questions she describes ways to engage middle and secondary students from the outset, honoring their curiosity and passion. Mini-lessons, practice activities, graphic organizers, and examples of student work help you turn research projects into creative, exciting investigations for your students. Cathy Fraser has been the librarian at Prospect Mountain High School in Alton, New Hampshire for since 2004. She holds certifications in Reading and Writing Specialist and Secondary English Teacher, and is a passionate advocate for literacy for all. Follow Cathy on Twitter at @cfraser150. Chapter 2: Where Do Questions Come From?